Below is an essay I wrote for a research assignment analyzing primary sources in my first semester of graduate school at Sam Houston State University. I chose personal statements, newspapers, and Mormon scripture as the basis of my research on the topic of early Mormon polygamy. This was also my final assignment under professor Dr. Terry Bilhartz, who recently passed away as the semester came to an end. He had a passion for religious history, and he was a great teacher. I also discovered that he authored history books I used to use while taking community college classes in San Antonio several years ago. He will be missed. A recent article on early Mormon polygamy released by the Church of Jesus Christ of Latter-day Saints (LDS) caught the attention of mainstream news outlets, such as the New York Times. The sensationalism revolved around the religious marriages of the church’s founder Joseph Smith to not only 40 women, but also to then 14-year-old Helen Mar Kimball, which the Church published on its website, LDS.org, under the topic Plural Marriage in Kirtland and Nauvoo. The New York Times article revealed frustration amongst some Mormons, including blogger Emily Jensen who said, “This is not the church I grew up with, this is not the Joseph Smith I love”. Some of the contents in the Church’s publication left many wondering if this information was intentionally hid from its membership. The source of frustration from the information revealed, though new to many, existed all along in the background of Mormon theology and history. What is revealed is a practical, biblically defensible doctrine–an exception within Mormonism, not the rule. While Mormons have been long stigmatized with polygamy, it was practiced by mostly first and second generation Mormons and came to end in most of their lifetimes. Although some actors might have abused it, the institution provided good homes in times of need and fostered the increase in church population. In the process it stirred passions against the Church’s critics – driven by sensationalism – who possessed a base understanding of frontier Mormon life. These observers pressed Congress and their fellow U.S. citizens to pass judgment on and to regulate the constitutional freedoms of religious conscience exercised by Mormons. Mormon scripture, newspaper reports, and personal journal entries presented in this essay captured the attitudes and responses to early Mormon polygamy on both sides of the issue. To understand the reactions of early Mormons and their critics, it is necessary to consider the context and experiences of those in the early 1800s and life on the frontier. 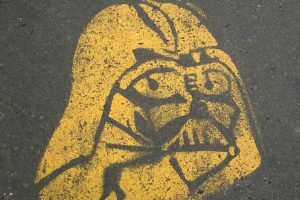 This essay argues that beyond all the media sensationalism, what is revealed is a practical, biblically defensible doctrine–an exception within Mormonism, not the rule. First, to understand Mormonism is to understand what is often termed the “Second Great Awakening,” or an era of religious fervor that swept the former colonies and fostered the development of a host of new sects of Christianity in the early nineteenth century. Post-revolutionary American religion existed on a terrain that provided a clean slate for religious believers. The dominant brands of Christianity in early American history, before these new sects emerged, comprised primarily of the Catholic Church and the several Protestant sects, such as the Methodists, Anglicans, Lutherans, and Evangelicals. In American Originals: Homemade Varieties of Christianity, Paul Conkin composed brief histories of these new Christian innovations. The religious groups and movements Conkin explored are the: Christians, Disciples of Christ, Unitarians, Universalists, Adventists, Jehovah’s Witnesses, Latter-day Saints, Christian Scientists, Pentecostals, Unity, and Holiness. Many who took advantage of their religious freedoms cast fresh eyes and dug deep into scripture and interpreted doctrines without fear of prosecution, imprisonment, or banishment. Determined to restore primitive Christianity to its original form, these movements repudiated “creeds and doctrines worked out by the great councils, and a wide range of nonscriptural innovations in worship”. Not satisfied with the dogma and hierarchy of the Methodist Church, for example, men like James O’Kelly, Elias Smith, and Barton Stone separated themselves and preferred to be called simply, Christians. In one such example, Elias Smith published several complaints against a dominant doctrine of his day–infant baptism–in his A Sermon on Baptism. Elias, who had no relation to Mormon founder Joseph Smith, owned and operated a newspaper in New England. The premise of his sermon demanded that only believers–those who are able to submit to God–should receive baptism, not infants. Smith further pointed out many New Testament examples that ministers of his day did not follow. He preached that any tradition not expressly written in the New Testament text should be rejected. Secondly, among many who sought to restore Christianity to its primitive roots, the prophet Joseph Smith created a unique institution that was doctrinally heavy, whereas Evangelicals were light on doctrine. In the century prior, Evangelical innovator and former theater student, George Whitefield pioneered the personal conversion experience and appealed to passion, rather than dogma. Historian Harry S. Stout described Whitefield’s approach as one that “showed no interest in theology. Instead of doctrine, he explored the feelings of New Birth and through his exploration invited hearers to experience it for themselves. Imagination was central to his presentation of feelings.” This divide between dogmatic religious groups and those who were light on doctrine did not mix well when Mormon defenders of polygamy crossed paths with those who criticized the practice. 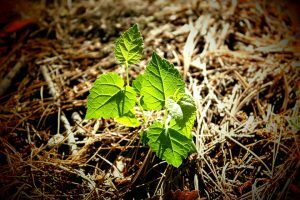 A clean slate for religious thinkers allowed the reintroduction of ancient Biblical teachings into the conversation, while challenging supposed orthodox practices that were accepted at face value. This clash of ideas culminated into the conflict between Mormons and their critics. The Tribune introduced polygamy to its audience as the “most repugnant” aspect of Mormon belief, reflecting the dissemination and circulation of an attitude of sensationalism or bias that the Tribune editors relied on to capture their audience in 1852. Neither the editors nor their audience lived to view the practice from the perspective of a persecuted people who lived on the frontier and who were forced to flee to their mountain refuge. Such dramatic reports illustrated the negative attitude toward polygamy as feelings over time-honored traditions were challenged, and naturally this contributed to exaggeration, resistance, and or bigotry, while those involved defended their peculiar practice. Lucy Walker Kimball was among the defenders of early Mormon polygamy. In A Statement of Mrs. L.W. Kimball, Lucy described her early life as a member of the Church of Jesus Christ of Latter-day Saints. Her statement detailed her introduction to the prophet Joseph Smith at a time when her family fled persecution, in what she called “wholesale slaughter at Haun’s Mill,” after settling in Nauvoo, Illinois. Her account described her family’s desperate situation, their search for refuge, and the subsequent deaths of her mother and sister. Her father became sick and the prophet suggested he find a better climate to heal and return after two years. When her brother married and moved on, this left the remaining siblings and Lucy at the Smith home, whom the prophet “sought an interview” with in order to discuss polygamy. The prophet conveyed to Lucy that God had commanded him to take another wife and that she was the woman. She described her initial feelings and that the prophet “felt her sorrow” and “saw how unhappy [she] was.” The prophet then predicted the saints would soon settle in the Rocky Mountains and that the principle of plural marriage “will yet be believed in and practiced by the righteous” and that he had “no flattering words to offer” other than it being a commandment from God. Lucy “stood fearless before him and looked him in the eye” and said, “although you are a prophet of God you could not induce me to take a step of so great importance unless I know that God approved my course.” Demanding that God make his will known to her, one morning she felt a “heavenly influence,” “received a powerful and irresistible testimony of the truth of plural marriage,” and learned that the prophet’s first wife, Emma, consented. After the death of Joseph Smith, Lucy married Heber C. Kimball, who was also married to other wives. Regardless of her marriage to Smith and his subsequent death, the fact that she remarried into another polygamist arrangement proved Smith’s previous prediction. Surely, had the option been available to her after the prophet’s death, she could have reconsidered an arrangement more suitable to her. Jealousy was not an issue, Lucy described, and the “sisters” found solace in their belief because they believed they did it “not for any world aggrandizement, not for the gratification of the flesh” but “accepted it to obey a command of God.” Additionally, the conditions of a polygamist home are portrayed by Lucy as loving and an atmosphere of sisterhood. These conditions allowed the women and Heber to “learn self control, self denial,” which brought “out the nobler traits of our fallen natures,” and provided “a grand opportunity to improve ourselves.” Her statement provided a window into the history of how some early Latter-day Saints, the relatively few that were involved with the practice, viewed themselves, the Bible, and their faith on a terrain that religious freedom fostered. Another account for the defense of early Mormon polygamy, which might surprise modern Latter-day Saints, came from the 14-year-old wife of Joseph Smith, Helen Mar Kimball, the daughter of Heber C. Kimball. Helen was sealed to Joseph Smith in a spiritual “eternal marriage” in 1843 with the consent of her father, the year before the prophet was killed. No children came from this union, and Helen continued to live with her parents. In her later years, she wrote Why We Practice Plural Marriage, published in 1884. Much like the home Heber C. Kimball provided for his wives, Helen wrote that her father “died a wealthy man” and all his wives “were provided with a good home.” Helen, finding herself once again in a polygamist arraignment, spoke of her second husband’s attitudes about plural marriage, who she married after the prophet was killed, and described that had they not been the “the purest” and driven “by religious principle,” she would have succumbed to jealousy. Though women like Lucy and Helen enjoyed a clear conscience in their defenses and the benefits they reported, the freedom to continue the practice developed into a matter of federal jurisdiction. Helen’s pamphlet also addressed the critics of plural marriage “who hold it up as a “foul stain that pollutes the very soil where it exists”” and to “those who are striving to convert our children from the faith and principles so plainly set forth in their own Bible.” She continued her criticism of “Christians” who quote the Bible “as His sacred oracles, and yet wish to take away the civil and religious rights of a people whose belief and practice are confirmed by that very book.” Her attitude expressed worry that many supposed Christians practiced “all manner of licentiousness but are screened from the laws which they themselves or their own kind administers, may possess themselves of our hard-earned homes in these mountain fastnesses.” The issue of plural marriage evolved into a battle of religious liberties, and the statehood of the Territory of Utah hung in the balance. Regardless of the many examples of polygamy in the Bible, the religious liberties provided in the U.S. Constitution, and the defense of polygamy from Mormon participants, some Americans disapproved and pressed the government to ban the practice. The National League for the Suppression of Polygamy of Cleveland, Ohio wrote a statement in 1883 that urged “every city, town, and school district in the United States asking Congress to submit to the Legislatures of the various States an amendment to the Constitution prohibiting polygamy.” The group characterized the practice as “a stain” or a “disgrace to us and to the civilized world.” Frustrated that Congress did not share interest in this matter, this group took it upon themselves to “throttle the evil in the best manner possible and rid the country of a curse.” This fervor, and the eventual legislation to ban polygamy, illustrated that the constitutional protections of religious belief and conscience won in the Revolutionary War were subject to the will of the masses. By 1865 the prophet Brigham Young and the saints began to feel the pressure and attitudes of their former fellow citizens as emigration and other realities brought Utahans in closer contact with the nation at large. The Dedham Gazette of Dedham, Massachusetts, published a story from a Mr. Bowles, editor of the Springville Republican. Mr. Bowles journeyed westward towards the Pacific and stopped in Utah to note the material progress of the Latter-day Saints. Bowles praised the “morality and industry that have been organized in this remote spot in our continent,” yet he is disgusted with polygamy. The visitor suggested that while Mormons practiced polygamy in “the mildest form possible,” he concluded that it ends with the “degradation of woman…she becomes simply the servant and serf.” Interestingly, he recognized that “Mormonism is not necessarily polygamy.” He noted that there is more to the faith that originated without it and hoped that time would come when a new revelation would end it. In conversation with Young, who welcomed the idea of a new revelation to end the practice, he recognized that the practice was not “an essential practice in the church, but only a privilege and a duty under special command of God. With innovations such as the telegraph, the railroad, and emigration, Mormonism and Young understood the implications. 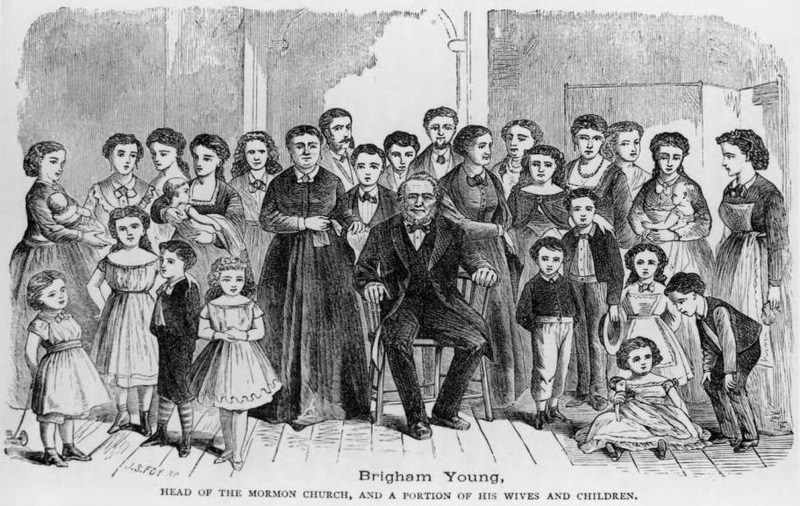 Fortunately for Mormonism, most of the adherents did not practice plural marriage, and according to Bowles “not one fourth, perhaps one eight, practice it.” In conversation with Young, who welcomed the idea of a new revelation to end the practice, he recognized that the practice was not “an essential practice in the church, but only a privilege and a duty under special command of God.” Young continued to defend the Biblical authority but acknowledged that it had been abused and that some entered into it against his will. Speaking in terms of demographics, when asked about the fact that in the world the sexes were divided equally, and that if men took more than one wife, this would undoubtedly leave many men without the option to marry, Young replied that “there was always a considerable proportion of the men who would never marry, who were bachelors from choice.” This general statement of demographics by Mr. Bowles took for granted that in the lifetimes of Joseph Smith and the early Latter-day Saints, who endured persecution on the American frontier, that all Mormon women had an equal number of suitors at their beckon call ready to wed in the Mormon temple for time and eternity. Unfortunately the scant historical data that survived by this generation of early Latter-day Saints cannot tell the whole story of the inner workings of Mormon courtship and relationships. In fact a more controversial point that the LDS Church acknowledged in Plural Marriage in Kirtland and Nauvoo were the religious sealings of Joseph Smith and women who were already married to men they remained with despite their husbands’ disbelief in Mormonism. These symbolic unions allowed these women the opportunity to receive the highest blessings, or to at least express to God their willingness to obey his commandments and receive these temple ordinances, despite their non-Mormon husbands unwillingness. Whether these unions intended to separate non-Mormon husbands from their Mormon wives in the next life and seal them to Joseph Smith, “the precise nature of these relationships in the next life is not known, and many family relationships will be sorted out in the life to come.” These details demonstrated a complex picture of frontier courtship mingled with a new form of marriage covenant, one that was the exception in cases commanded by God for his purposes, and one that was only the rule if commanded. “The reflection has been brought to my mind with great force that after this war is closed, how vast a difference there will be in the numbers of males and females. Social historians of the Civil War agreed that Hattie’s fears “were well grounded in demographic realities. Nearly 620,000 men were killed in the war, a number approximately equal to the deaths in all other American wars from the Revolution to the Korean War combined.” Further examples described “that the reduced population of young men “demographically deprived” southern women of husbands” and “that the loss of such a large proportion of the South’s male population undermined the region’s established pattern of family formation.” These examples and those of early Mormon polygamists testify of the complexity of life away from “civilization” or normal times. Indeed, the 1800s were a time of war, exploration, and contention between religious values that tested the new nation. The doctrine described in the 132nd section of Doctrine and Covenants, the histories and defenses from polygamist wives, and the statements by Brigham Young demonstrated a complex picture of the development of a doctrine that challenged the assumptions of Christian marriage. Their defenses harkened to the days of Elias Smith and other religious thinkers who challenged the dominant structures and orthodoxies of their time. Thus, through the practice of plural marriage viewed from the lens of both the Bible and Mormonism, while monogamy remained the rule, early Mormons believed God expressed his will through the practice and in their circumstances. These sources, not the that of the sideline critic who offers demographic generalizations without taking into account certain frontier realities, might better reconcile the sensibilities of contemporary Mormons with its pioneers. Historical inquiry confirms that though one might feel church leaders purposefully hid information from them, especially when sensationalism trumped the unknown realities, Sunday school is not a favorable place to find the details of inner workings of early Mormon polygamy. 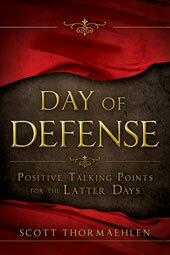 In chapter 4 of ‘Day of Defense,’ I demonstrated the Biblical defense of plural marriage. I found it interesting that this article from the Baptist Press News, in response to the LDS Church’s release of the essays on early Mormon polygamy, attempted to teach Mormons about the Biblical perspective. Goodstein, “It’s Official: Mormon Founder Had Up to 40 Wives,” New York Times. Paul K. Conkin, American Originals: Homemade Varieties of Christianity, (Chapel Hill, North Carolina: The University of North Carolina Press, 1997) 2. Elias Smith, A Sermon on Baptism, 1802. Harry S. Stout, The Divine Dramatist: George Whitefield and the Rise of Modern Evangelicalism, (Grand Rapids, Michigan: William B. Eerdmans Publishing Company, 1991) 39. “Mormonism,” New York Daily Tribune, December 29, 1852, 6. Walker, A Statement by L.W. Walker, 1. Whitney, Helen Mar Kimball. Why We Practice Polygamy: By a “Mormon” Wife and Mother”, (Salt Lake City, UT: Juvenile Instructor Office, 1884) 3. “Polygamy,” Montanian, December 23, 1875, 2. “Mormon Polygamy,” New York Observer, November 29, 1883, 387. “Polygamy,” Dedham Gazette, August 19, 1865, 1. The Church of Jesus Christ of Latter-day Saints, Plural Marriage in Kirtland and Nauvoo, www.lds.org. Conkin, Paul K. American Originals: Homemade Varieties of Christianity. Chapel Hill, NC: The University of North Carolina Press, 1997. Stout, Harry S. The Divine Dramatist: George Whitefield and the Rise of Modern Evangelicalism. William B. Eerdmans Publishing Company. Grand Rapids, MI. 1991. Wuthnow, Robert. Rough Country: How Texas Became America’s Most Powerful Bible-Belt State. Princeton University Press, 2014.